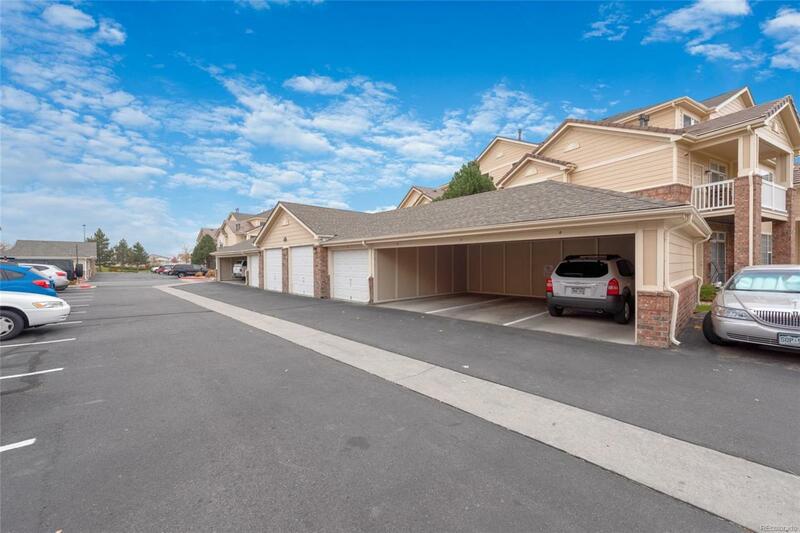 ***THIS UNIT COMES WITH A DETACHED, OVERSIZED GARAGE!!! *** This adorable condo lives large with 2 bedrooms with walk-in closets and 2 full bathrooms all on the same level. Light and open, this condo is perfect for buyers looking for themselves or for use as an investment property. A beautiful glass-paned back door leads to the covered patio and directly to the pool. 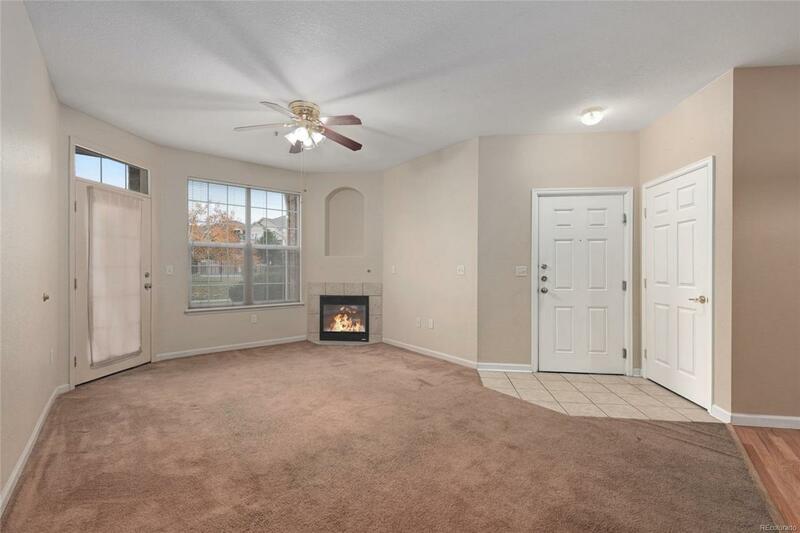 Cuddle up next to the gas fireplace on cold evenings or take a dip in the pool on those warm summer days. 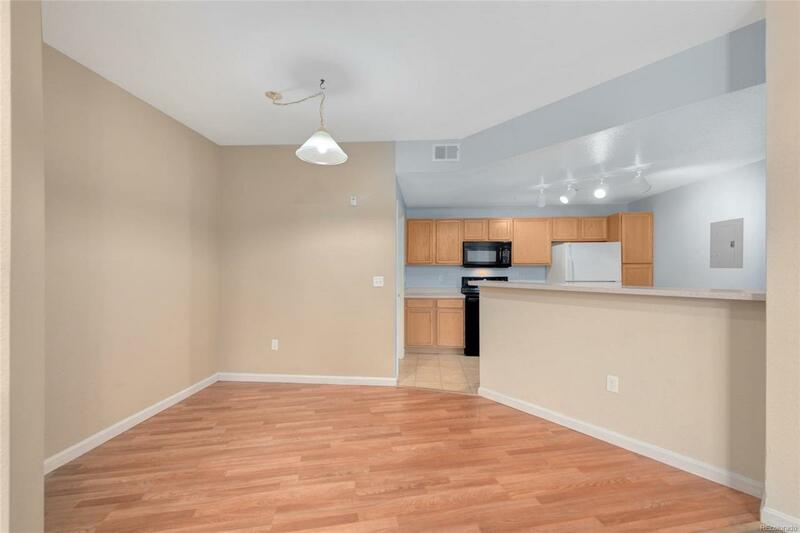 This unit also includes a large storage unit directly off the patio .A gated community that includes a 24-hour fitness facility, pool, hot tub, playground, and clubhouse. The community is FHA approved. 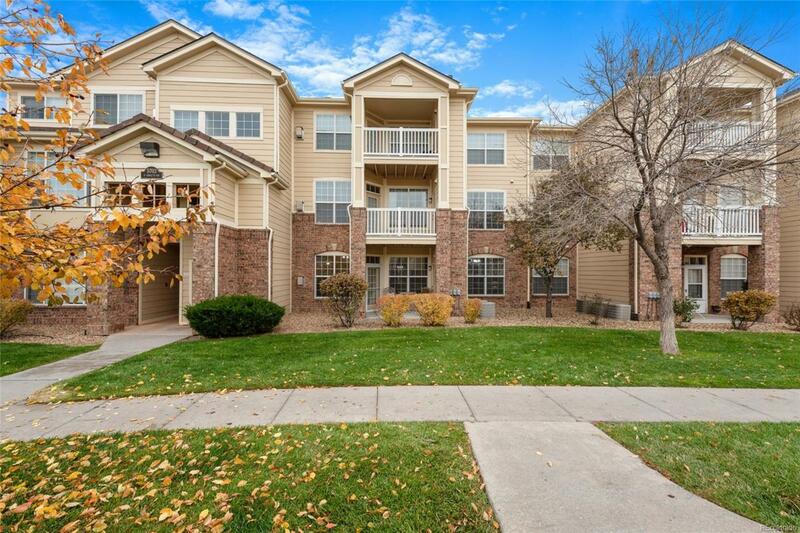 Located minutes from DIA, 25 minutes from the Denver Tech Center, and 30 minutes to Downtown Denver and close to the new Gaylord Convention and Shopping Center.